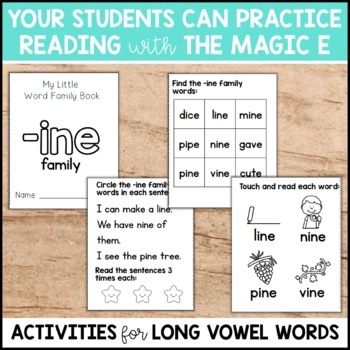 Little Word Family Books are a fun way to get your students practicing reading magic e words. 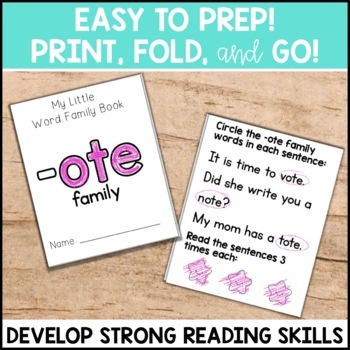 Easy to prep and predictable patterns make them the perfect addition to your literacy centers, guided reading groups, or even sent home as extra reading practice! Simply print, fold and go! 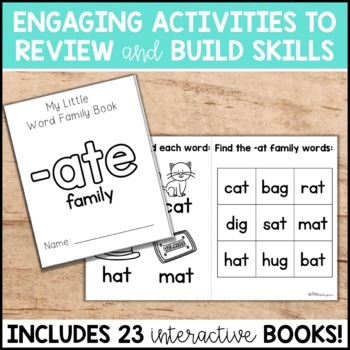 This resource can also be found in my Word Family Books GROWING BUNDLE! Grab the bundle & save! Currently, long a CVCe words are included in the download! The rest of the long vowels will be added, free of charge to you! You will be able to download them once complete! Have your students decorate the letters with crayons/markers/colored pencils, rainbow write the letter, use magnet letters to build the letter, or decorate with stickers/glitter. 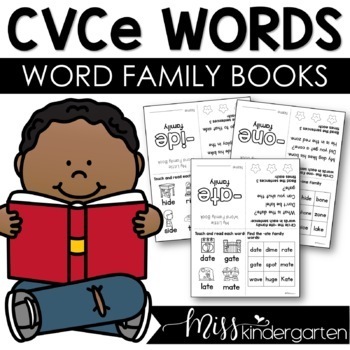 Have your students practice reading the word family words with picture guidance. Have your students color, highlight, or use a bingo dauber to mark the words. Find and circle the word family words in the sentences, then read them 3 times for fluency. Check out these great resources in my store!